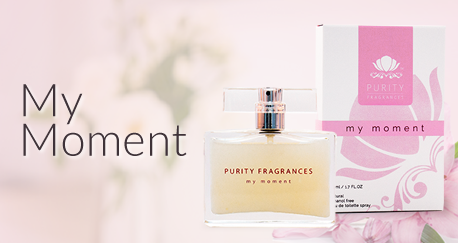 My Moment is the second fragrance passionately created by Purity Fragrances – a Floral Oriental. A totally different aromatic experience to our first fragrance, Perfectly Me. My Moment, is all about taking a moment for yourself, and being in the now, feeling enriched. Comments from our test market have been “Oh, this is divine, I love it!” We hope you do too. 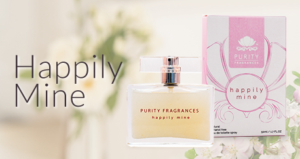 The 50ml eau de toilette spray is a divine bottle that is beautifully packaged in a delicate organza bag, with accompanying affirmation card, our gift to you. 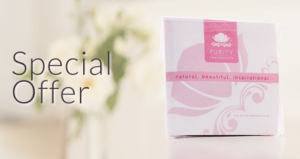 The cute and convenient 9ml eau de toilette, is an ideal – travel or hand bag, gym bag or carry option. Ingredients : NZ Aqua (water), Parfum (eco certified), Glycerin (Plant), *Benzyl Alcohol , * Benzyl Benzoate , * Benzyl Salicylate, *Citral, *Citronellol, *Eugenol, *Geraniol, *Limonene, *Linalool, Dehydroacetic Acid and Benzyl Alcohol (eco certified preservative) Xanthan Gum (eco certified).